Without a doubt my favorite time of the year is the Fall, that crisp autumn air, the changing leaves, football is back, and the annual Epcot Food and Wine Festival, not necessarily in that order though! 😉 If you haven’t been before, Epcot has different marketplaces setup throughout World Showcase, and now even into Future World, each with various snacks and drinks. It’s awesome! It’s setup with small portions of everything so you can try multiple things as you stroll your way through Epcot. 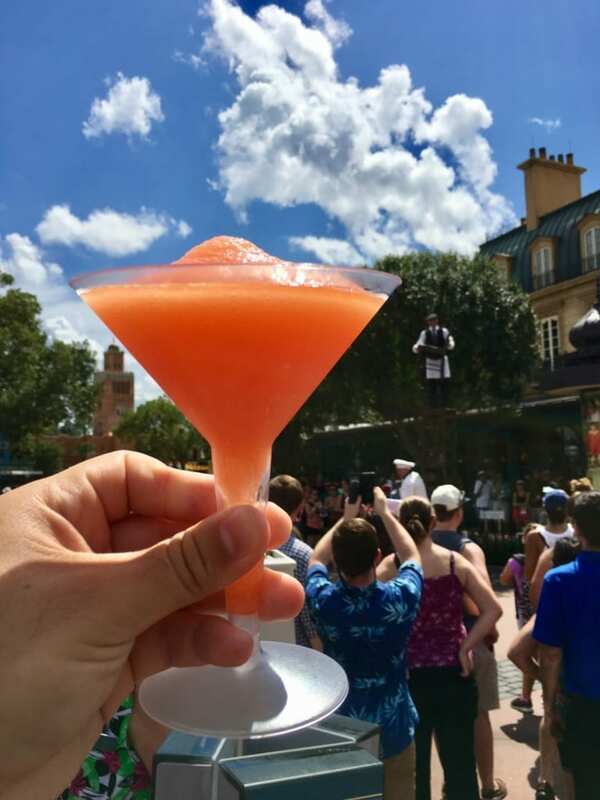 In order to get the most out of your visit though, I have some good Epcot Food and Wine Festival Tips for you. This year there’s going to be a whopping 35 different Food and Wine Marketplaces to choose from!! 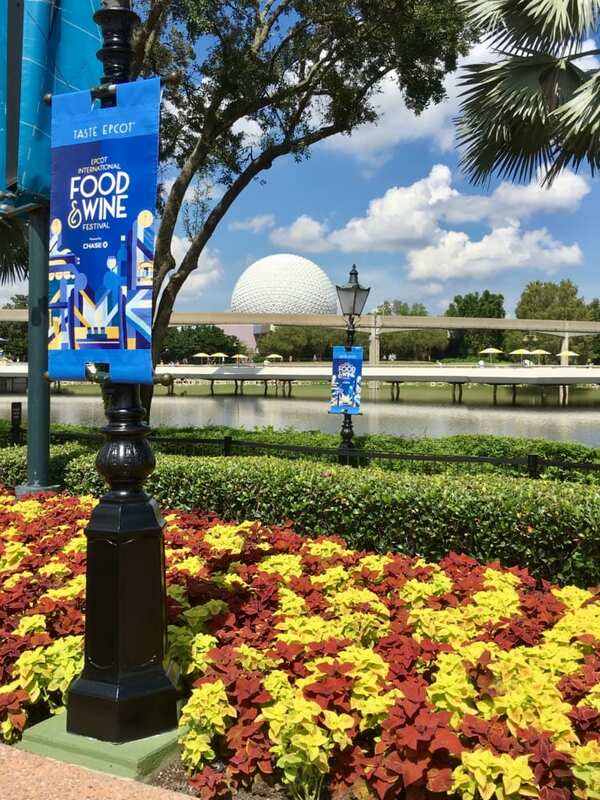 For more info on the whole the Epcot Food and Wine Festival you can check out my Food and Wine Festival Information Page as well as the Full Menus with prices and reviews on all the food. 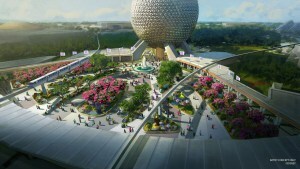 Planning is key to any Walt Disney World Vacation. 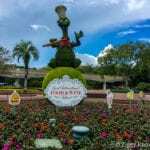 You have to plan your restaurant reservations 180 days in advance, your FastPass+ 60 days out, and the Food and Wine Festival is no different. This sounds like a no-brainer but it’s true. The Food and Wine Festival can be super over-whelming and sometimes it’s hard to know what to do, so I’m gonna beat this one into your head here a bit on how important it is. This year there are a record-breaking number of kiosks at 35, which means if you are going to get to each of them you are going to need a plan. As part of your plan, set a budget. 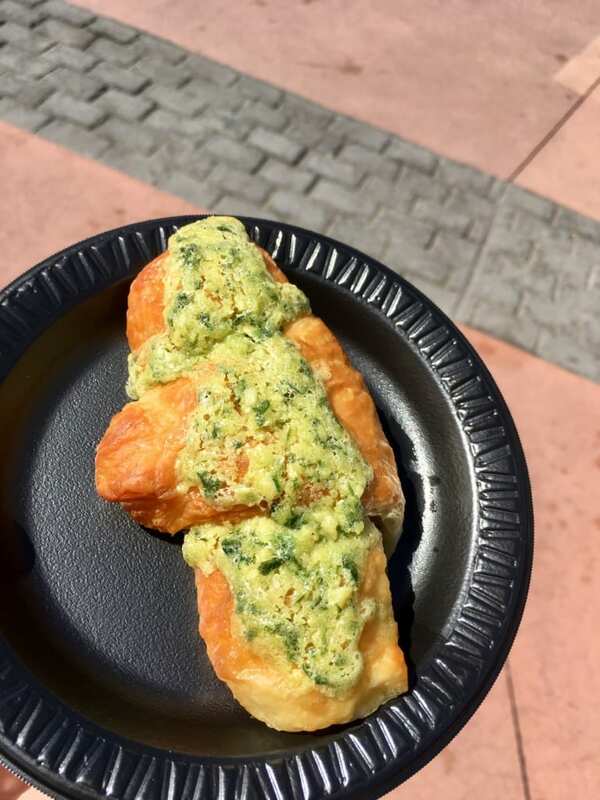 The Food and Wine Festival is nice because the snacks are all between $4-9 for the most part, so you can try lots of stuff, but those snack add up after a while and you can wind-up having spent much more than you originally planned to….trust me on that one! That’s why if you setup a budget of how much you want to spend each day it will help you stay within your means. Also there are always a bunch of snacks that you absolutely must try ever year. If you do your research ahead of time by checking out the menus, photos and reviews, you will know what you want to try even before you go, therefore saving a bunch of time when you’re there. 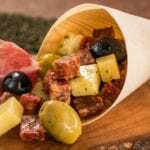 This is one of the Epcot Food and Wine Tips that’s absolutely crucial! Depending on when you go, can be the difference whether this turns into an every year event for you and your family, or it could make you decide to never go back again! If you go at the wrong time it can be devastating, please trust me on this one! Saturdays are by far the busiest days of the week for Food and Wine, it’s when all the locals come out which means it will be packed out with people. It’s not worth it waiting in the sweltering heat for 20 minutes just for a bowl of noodles or a cheese plate. Last year I remember a going on the weekend, and it’s a mistake I never want to make again! Go mid-week when the crowds will be much more manageable. Also go early in the day, right at 11:00am when the kiosks open if you can. Again locals if they are there during the week tend to attend the Food and Wine Festival after 5pm when they get out of work, so avoid it like the plague. Also if you go at 11am it will still be hot, but you can avoid the afternoon when that Florida sun will literally melt you into a pool of goo. The beauty of Food and Wine Festival is the variety of tastes that you’ll encounter. That means it’s great to try different things. I can’t tell you how many times I’ve looked at an item on the menu that I otherwise wouldn’t have normally ordered in a restaurant, but here I tried it and it was actually good! That’s the nice thing, the sizes are so small that even if you don’t like something, it probably only cost around $5.00, so it’s not that big of a deal. More likely than not though you’re going to be blown away like I am every year by something you didn’t think you’d like, and find yourself returning again for seconds. Well not that way. Do that in moderation! I’m talking about drinking a lot of water so that you stay hydrated. Even if you listen to my previous advice, inevitably if you go in September or even through most of October, it’s going to be hot. The first day of the festival this year had a heat index of 107 degrees! That’s not ideal for walking around and stuffing your face. You should really make sure you are drinking enough water and pacing yourself so you don’t tire out. A good rule of thumb is one water for every non-water drink. Also to avoid paying $4.00 for a bottle of water, you can go to any normal Quick Service Restaurant in Epcot and just ask them for a cup of ice water and they’ll give it to you free. A lot of people watch the menus and immediately notice that certain items that they otherwise would love to try, has an ingredient that they either don’t like, or because of allergic or dietetic reasons can’t have. One of my best Epcot Food and Wine festival tips is to not let that stop you. If you don’t want a certain ingredient, just ask for it without, In all my times going, the chefs have always been more than happy when possible to accommodate guests needs/desires. So just speak up. It’s absolutely impossible to see and do and taste everything that the Epcot Food and Wine has to offer by just going one time. Heck, it’s impossible even going 5 times. 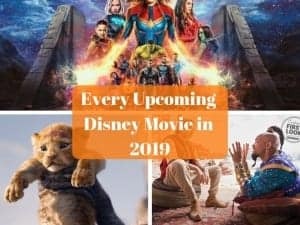 So depending on how long your stay in Wald Disney World is, I’d definitely suggest going at least twice, even more if your schedule allows it. You don’t wanna have to choose between that Canadian Cheddar Cheese Soup and the Beijing Roasted Duck because you don’t have any more time or you’re too full to have anything else at the moment. And if you followed #6, then by the second or third time going you will know already what you like and be able to have your favorite items again! 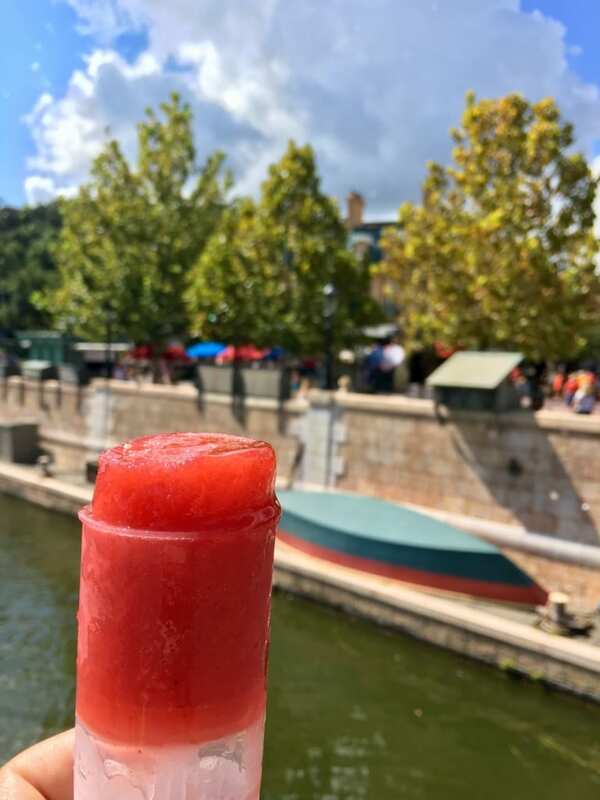 Of course the main reason we come to the Food and Wine Festival is for the food marketplaces, but there are a ton of other activities you can do that are really worth it. For example the Mix It, Make It, Celebrate It! Hands-On Workshops are food/drink-based workshops that teach you how to learn or improve your culinary skills in dozens of different topics. For example, last year I sent my dad to the Martini Workshop and it was amazing! He learned all about a special vodka, how to make a couple different types of martinis, and of course got to taste his creations at the end. It was a wonderful experience! This one wasn’t free, but you can even find free seminars to attend that help you to further develop a culinary skill. Even though we are focused on the food, the Eat to the Beat Concert Series is fantastic as well! You won’t find A-list groups, but most of the music is pretty decent and you may even get to sing along at the top of your lungs with “Starship” as they do “We built this city.” Doesn’t get much better than that, hahaha! It makes for a nice break between snacking, and hey if you aren’t that into the music you at least can take a snooze for a few and recharge up. There are also Cheese Seminars, Wine Tastings, Celebrity Chefs Presentations, Party for the Senses, and the list goes on and on. A lot of them are quite expensive, but many are worth it, so study up on which ones stand out to you the most and go for it! 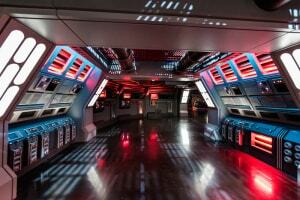 If it’s an extra that needs booking make sure to do it far enough in advance. Don’t wait till the day you get there as all the best demonstrations and classes will be sold out. 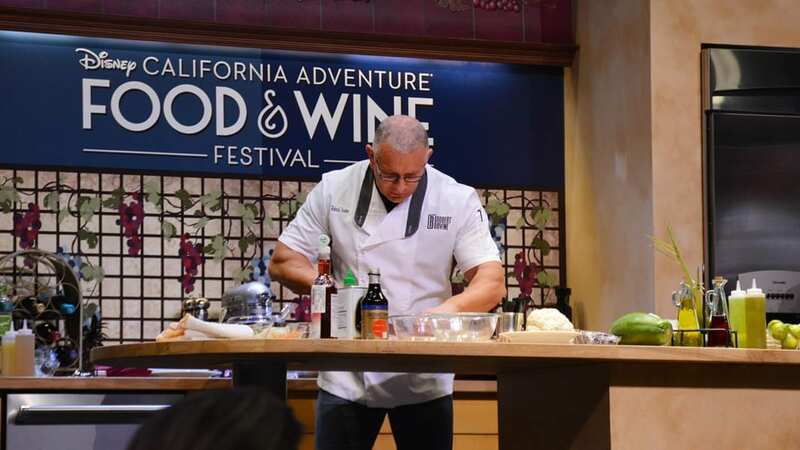 This is one I think goes over-looked all the time because many people go into it with a preconceived notion that the Food and Wine Festival isn’t for kids and there isn’t anything for them to do there. That couldn’t be farther from the truth! There are a ton of activities for the kids including, character interactions and the popular “Remy’s Ratatouille Hide & Squeak Scavenger Hunt,” which is a lot of fun! If you have a child who is interested in cooking, one of the culinary demonstrations or courses would be perfect. If they aren’t interested but you are there are even coloring tables they can hang at. Get a Marketplace Passport, which has fund stickers, and let your young one keep track of all the countries you’ve been to. It also gives your kids a chance to expand their palatial horizons (don’t know if that’s a real word), and try some food they might not otherwise ever try. I’ve heard from a lot of parents who took there kids and had an absolute ball, and their kids were turned on to food they normally wouldn’t eat, and these were kids that usually just eat chicken nuggets and fries. It’s just an overall great experience for the family, the atmosphere is cool, and it’s something they will not soon forget. 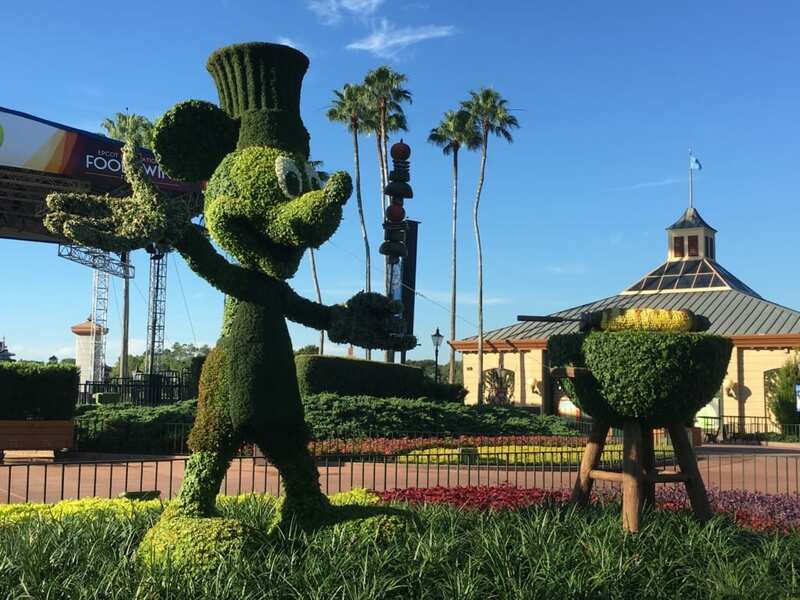 So those are my Top Epcot Food and Wine Festival Tips, I hope they gave you some good ideas for when you make your visit. I can’t understate how important it is to plan everything out! Check out my Epcot Food and Wine Festival Information Page for a full overlook at the entire event including Menus, Pictures and Reviews! Also take a look at the Best NEW Items for 2017 Food and Wine. If you take a look at the Food and Wine Menus and the pictures ahead of time, go at the right time, etc, it will make your experience 100x better than what it otherwise would be. Have a great time and see you around World Showcase! I want to know what are your favorite Epcot Food and Wine Festival Tips. What are your suggestions you would give to a first-timer or even a seasoned vet? Let us know in the comments section below!